Two Islamist deputies have resigned from a Turkish secularist opposition party after being elected as part of an electoral pact, Islamist newspaper Yeni Akit said. 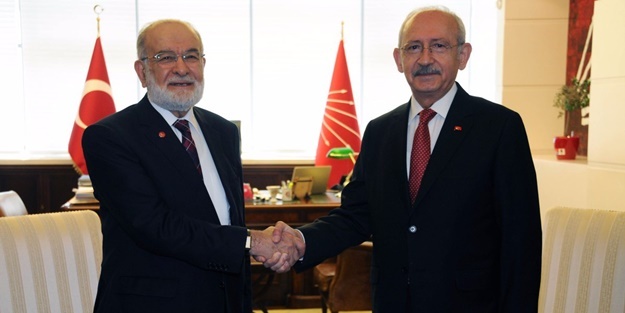 Cihangir İslam and Abdulkadir Karaduman, formerly of the Islamist Felicity Party, were elected as Republican People’s Party (CHP) deputies and have now resigned from that party to represent the Felicity Party in the assembly. “We plan to carry out very good work. We will be a good opposition,” İslam told reporters before being sworn in. The Felicity Party, CHP, Good Party and Democratic Party entered elections as a united electoral alliance, and as part of the deal the CHP also allowed some Felicity Party candidates to take places on the CHP candidate lists. 24 Haziran seÃ§imlerinde Millet Ä°ttifakÄ±'na katÄ±larak Cumhuriyet Halk Partisi'nden milletvekili seÃ§ilen Saadet Partili iki milletvekili CHP'den istifa etti.